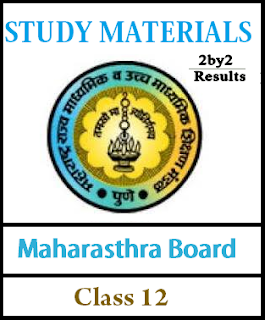 Maharashtra HSC Syllabus - Maharashtra 12th Board Syllabus is attached here. In this page, We have provided Maharashtra 12th Syllabus for both Compulsory and Electives subjects syllabus in PDF format. Students can download Maharashtra Board Syllabus for class 12th in PDF Format Maharashtra Board 12th Syllabus for all subjects as per New and revised syllabus updated by Maharashtra State Board of Secondary and Higher Secondary Education. Students and staff can use below link to download the MSBSHSE 12th Syllabus and make use of them. Below you can download the MSBSHSE 12th Syllabus for all subjects. From above link Students can download HSC board syllabus for all subjects. Get Maharashtra State Board Syllabus for Class 12th academic year revised syllabus. We request Students and teachers to comment below if there is any discrepancy in downloading Maharashtra Board 12th Syllabus PDF.